Held in Cairns this week, the Great Barrier Reef Restoration Symposium has attracted some of the world’s top restoration practitioners, scientists and engineers together in a forum designed to share ideas on what research is working, what’s failed and how different specialties can help. One of the more extraordinary ideas being discussed is a biodegradable ‘sun shield’ developed by the Australian Institute of Marine Science (AIMS). The project, which sees a floating film (50,000 times thinner than a hair) protect key areas of the reef, has thus far only been tested in labs with sights set on a reef trial within the next 2 years. "The great thing about the film is it is only a molecule thick so you can swim straight through it and it'll just keep self-forming," said AIMS’ Andrew Negri. 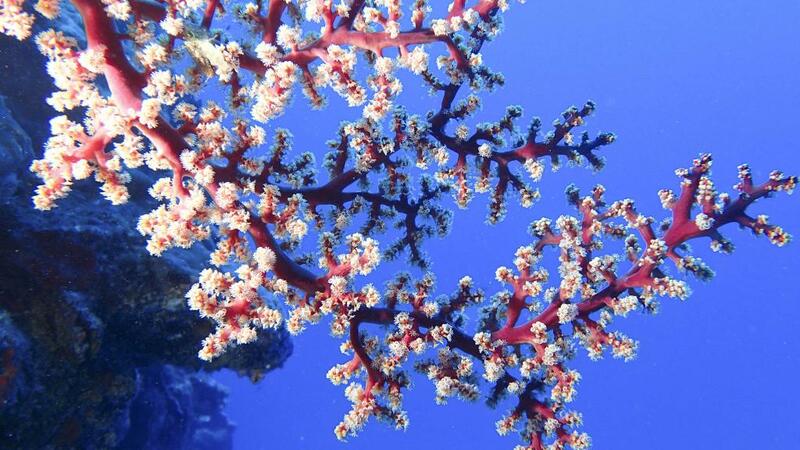 "It essentially uses about half a bucket of calcium carbonate to protect an entire hectare of coral reef, and for the film-forming component we need less than a teaspoon of material to keep that carbonate at the surface of the ocean. "The next step would certainly be to trial it in very large tanks in the National Sea Simulator, then we'll apply for permits to take it out on the Great Barrier Reef and do small scale trials out there,” he said. An alternative protective solution is also being created and tested by AIMS. Known as ‘Cloud Brightening’, the program is designed to encourage clouds over the reef to reduce heat and light on the coral by deflecting sunlight back up to space. "It seemed [like a whacky concept] to me at first. The team have been looking at using a very fine nozzle to pump small droplets of salt water at the rate of several billion per second," said David Mead, program director for the Reef Restoration and Adaption Program. "The water vaporises and you're left with a salt particle which will float around, and if you can introduce those into the system you can increase the amount of sunlight reflected back. "It's called cloud brightening because, from above, the cloud appears brighter,” he said. While the concept is still in its early days with thorough research on weather patterns yet to be conducted, there are high hopes for this out-of-the-box potential protective solution. While scientists have not stopped working on the development of climate change solutions, there has been a shift in the general approach and interest in developing solutions to repair current damage. "The reef is battered and bruised, but it's beautiful, and Australia has a huge breadth of scientists that can be brought to bear on this challenge. "Climate mitigation has to be a priority but some of the techniques on the table here can help us buy time,” said Mr Mead.